Attingendo a registrazioni inedite di Derek Bailey, conservate da Karen Brookman negli archivi della Incus, John Tilbury stabilì, pur tardivamente, un po' di quel dialogo musicale che i due non fecero mai in tempo a realizzare. A promuovere l'iniziativa qualche anno fa fu la BBC, e in particolare il programma Late Junction, che ne diffuse gli esiti in una puntata del luglio 2013. Da quella sessione proviene oggi il mini-album Playing with a Dead Person, prodotto in un'edizione in vinile dalla polacca Bolt. 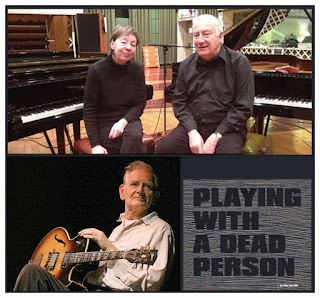 Pianist John Tilbury fulfilled a long held ambition to collaborate with his friend, the avant-garde guitarist Derek Bailey who died in 2005. 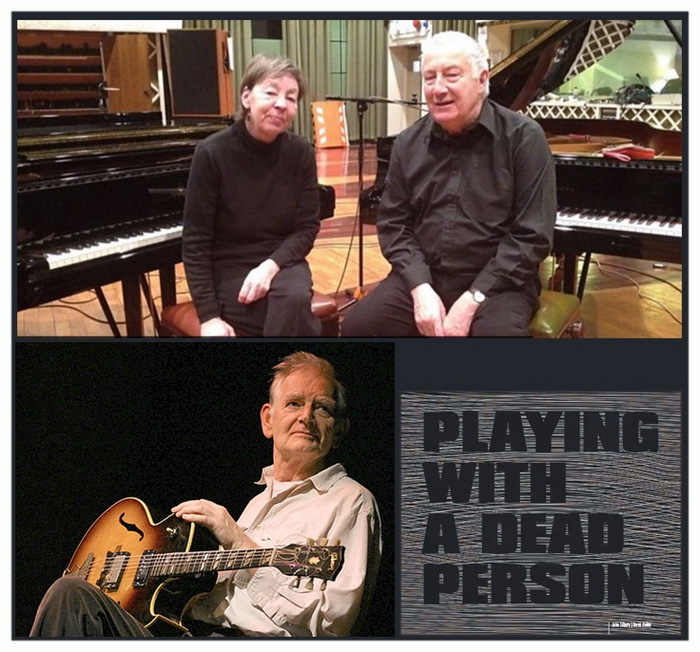 With the permission of Bailey's widow Karen, John Tilbury selected unreleased gems from Derek's archive and brought them along to Maida Vale where he created three tracks for prepared and unprepared piano. "Derek and I always wanted to do a duo recording together and we never quite managed that. Within the later years that we were trying to set something and his health was failing, we would get close to it and he would phone up and say "I'm just not up to it, I can't do it", and of course he died and I always regretted it - that we never did that. [...] So when the BBC contacted me about the duos, I thought there is nothing more original than playing with a dead person [...] which is curious because Derek is very much alive, especially when we hear his voice and I feel he's sort of sitting here, in the studio, and he's waiting for me and I'm waiting for him and we're not quite sure what's gonna happen".